Another Great Track for your Summer Playlist… – music. travel. repeat. 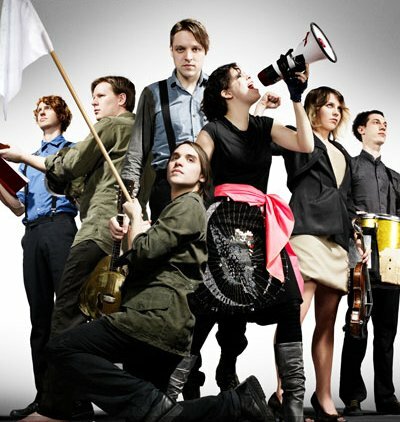 Arcade Fire is a great indie rock band, and one of the best to ever come out of Canada. They gained mainstream recognition in 2011 when they won the Grammy for Album of the Year, but were certainly well known much before that. One of the things I love about these guys and gals is the diversity of their sound and the range of instruments they use on their album (including guitar, drums, bass guitar, piano, violin, viola, cello, double bass, xylophone, glockenspiel, keyboard, French horn, accordion, harp, mandolin, and hurdy-gurdy). This track from their 2004 debut album Funeral and is called “Neighborhood #1 (Tunnels)” and is currently on my Summer 2012 mix 🙂 Enjoy! Previous Post Previous post: A pop music explosion!! !